Medium Care (HSP) | Co.As.It.  Community Services Ltd. The Home Care Packages program is funded by the Commonwealth Department of Health. It is aimed at assisting frail elderly living in the community to continue to remain at home. The packages provide support services that are flexible and can change according to needs. To be eligible to receive a care package your loved one must undergo an assessment with an Aged Care Assessment Team (ACAT) member who will learn what the individual needs are. Co.As.It. Home Care Packages can cater for the CALD (Culturally and Linguistically Diverse) members of our community. If language is a problem we can co-ordinate the ACAT assessment on your behalf. This is part of our unique service. All home care packages are delivered on a consumer directed care basis and allow you to exercise choice in the way your care services are offered and delivered. A care plan will identify your personal goals so that you may be as independent as possible, thus reducing your need for a higher level of service delivery. If you are unhappy with your current service provider, why not SWITCH to Co.As.It. Community Services? You have been approved for a home care package at the relevant level. As a home care package client you are provided with a monthly statement identifying income and expenditure which will be in line with the contents of your budget and showing how funds are being spent. You may be asked to pay a contribution as well as an income-tested fee if your income is over a certain amount. Co.As.It. Care Services Coordinators will negotiate your level of contribution and an income-tested fee if applicable. Our services are remarkably affordable, contact us about our home care packages that can be accessed for as low as $15 per week for a Level 1 package, or negotiated to a lower contribution.